A young English boy living in an old house with his housekeeper begins to suspect that she may have murdered his mother. Leaving him in the care of the stern housekeeper, Ruth, without even saying goodbye, nine-year-old Samuel’s beloved mother has gone for six weeks to America, where she is ostensibly searching for loans to shore up the family business. But is she really? Oh, sure, she has sent the boy a paltry seven postcards, but otherwise there has been nothing but silence. So when a school friend tells him a probably apocryphal story about a German housekeeper who murdered her employers, Samuel becomes certain that Ruth has murdered his mother ... In his first novel for adults...Australian author Giles offers a neat little thriller with enough red herrings and clever ambiguities to keep the pages turning on the way to a disturbing, surprise ending. And, oh, about that rabbit . . .
Nine-year-old boys can have active imaginations. Left alone, without a mother or father and in the care of a doting but well-meaning housekeeper, that imagination can easily reach extremes, from incredible fantasy to irrational terror. 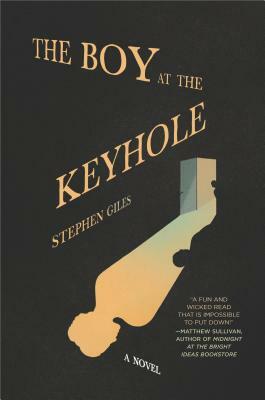 Such is the case for the impressionable Samuel Clay, who yearns for his mother constantly and can recite the exact number of days she has been gone to the United States, in Stephen Giles’ intensely gripping thriller, The Boy at the Keyhole. 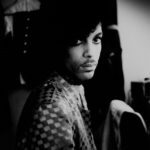 ...chilling and totally unforgettable ... The brilliance and fun of Stephen Giles' debut work of adult fiction is the ambiguity and shades of gray ... This psychological thriller keeps readers guessing from the soft start, through the creepy build, until the end, and then surprises with some hard punches. The writing style is brisk and stark ... Giles deftly handles his claustrophobic story, allowing readers just enough of the two possibly disturbed pole-star characters to draw them in close and still hold them at bay ... a captivating examination of love, loyalty, loss and imagination. What did you think of The Boy at the Keyhole?